This one-of-a-kind condo is in the heart of the desirable Rattlesnake Neighborhood. Minutes to downtown and the University but close to wilderness and countless trails. 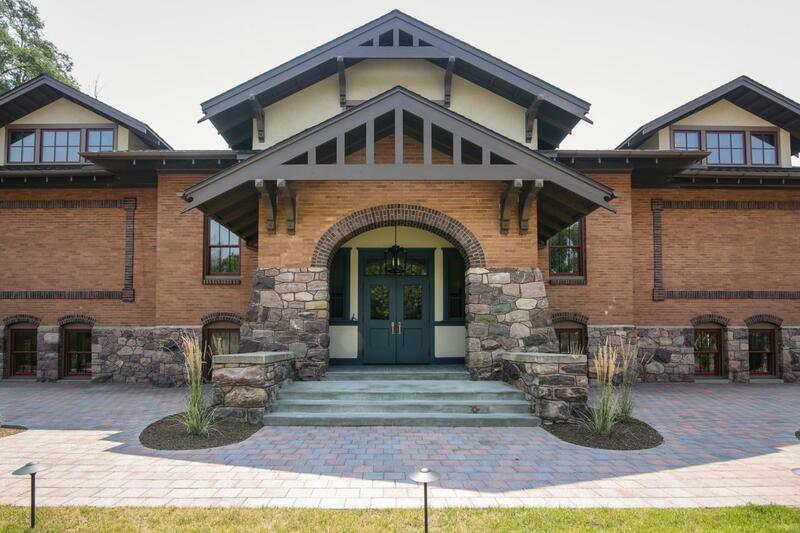 Winner of the 2018 Missoula Historic Preservation Award, The Lincoln School is on the National Registry of Historic Places. Originally built in 1914, this building was lovingly restored and renovated in 2018 and turned into four residential condos. The charm of a historic building, but all the modern comforts. With just over 1800 square feet, Unit A is a three bedroom, 2 1/2 bath, two-story apartment. Still under construction, drywall is completed throughout the Unit. The main floor has an open floor plan with huge west facing windows in the kitchen and living room. Plans call for a cozy gasfireplace and wood floors. Powder room on the main floor. Downstairs you will find three bedrooms. Exposed floor joists from the original building, as well as exposed brick add historic character to the lower level. A spacious hallway would be a great place for a reading nook or home office. A full bath is between two bedrooms and a laundry closet keeps the washer and dryer close to your bedrooms. The huge master bedroom has an enormous walk-in-closet, and plans call for a gas fireplace. The unique master bath will have a double sink and dramatic exposed brick in the shower. A lower level rear entry leads out to a covered outdoor seating area and to the detached one car garage with additional space that could be used for a workshop, or art studio. Unit A also comes with a dedicated patio space in the front of the building. The kitchen and bathrooms will have custom cabinets and quartz counter-tops. Bathrooms will have tile throughout. Commercial grade appliances in the kitchen. Additional details on finishes available on request. Inexpensive HOA/Condo Fees. Listing provided courtesy of Erin Pelger of Main Street Realty.